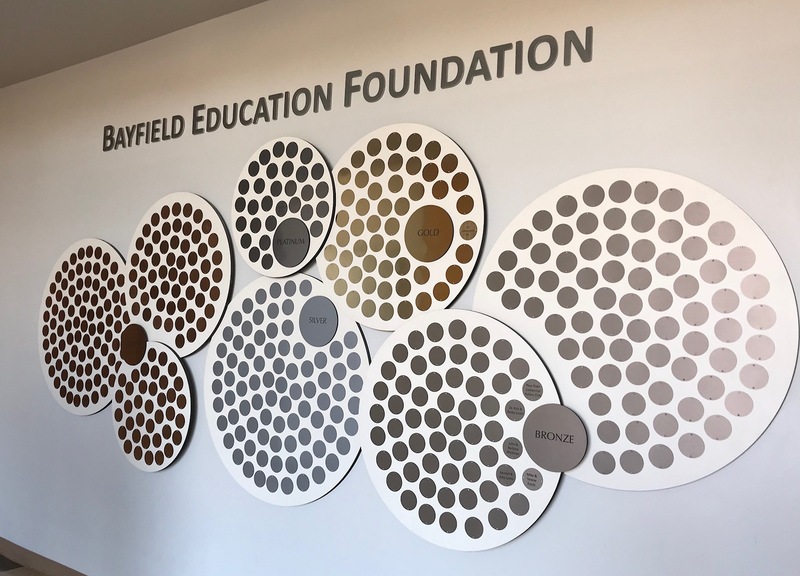 When you make a gift to the Bayfield Education Foundation, you help change lives. You join with other families, educators, and community members in ensuring that Bayfield High School graduates have the opportunity to fulfill their dreams and become the leaders this world needs. Make a donation here through PayPal or with a credit card, and you’ll receive a receipt and a thank you via email. See your name on the Honor Wall! The BEF welcomes you to dedicate your gift to a specific project or to contribute to the Foundation’s general fund. The BEF also accepts and processes donations in support of individual schools and programs. Bayfield Education Foundation, Inc. is a registered 501(c)(3) Non-Profit organization. Your donations are tax deductible. Receipts complying with IRS reporting requirements will be issued at the end of each fiscal year (in June) to donors who have given $50 or more. U.S. mail or email addresses are required.